Moisturize and brighten skin with this project made with shea butter, salt, grape seed oil, and grapefruit essential oil. "This oil-based salt scrub is a mix of moisturizing oils, luxurious spa salts, and pink grapefruit essential oil. Natural conscience customers will love this product! 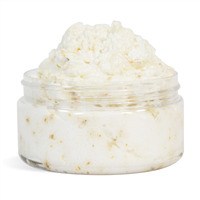 It uses Shea butter and grape seed oil as the base, and is complemented with a lavish blend of spa salts. Pink grapefruit essential oil provides a perky aroma of freshly squeezed juicy grapefruit with other benefits. This essential oil is thought to be an antioxidant, disinfectant, antiseptic and stimulant. Customers will love this awesome salt scrub! You Save $33.40 by purchasing this kit rather than buying the items separately. Sea Salt, Grape Seed Oil, Shea Butter, Pink Grapefruit Essential Oil, Phenoxyethanol, Methylparaben, Ethylparaben, Butylparaben, Propylparaben, Isobutylparaben, Vitamin E.
"Shea Butter & Pink Grapefruit Salt Scrub"
COMMENTS: I was so disappointed in the results of this scrub. Too oily, too much separation which looks unattractive when trying to label for sale. I love your products and have made the mango papaya sugar scrub which sold out immediately. I'm going to try the Pumpkin salt scrub. But, a big NO to the Pink Grapefruit Salt Scrub. "A little too greasy for my liking." COMMENTS: When I made this kit it was very oily and runny. I would suggest adding more salt or a bit of sugar to make the scrub a little thicker. COMMENTS: I am not exactly sure what I was expecting when I bought the product however now that I have tried it, I an not sure how I feel. I personally feel that the scent isn't strong enough (this can obviously be fixed) and that I don't like the separation issues (constantly have to shake it).. I am going to dump it all out and retry..
WSP Response: This recipe makes an oil-based salt scrub. The oils will always separate from the salt and the product will need to stirred before each use. If creating for use in the shower then we recommend that an oil-based preservative like Phenonip be added. 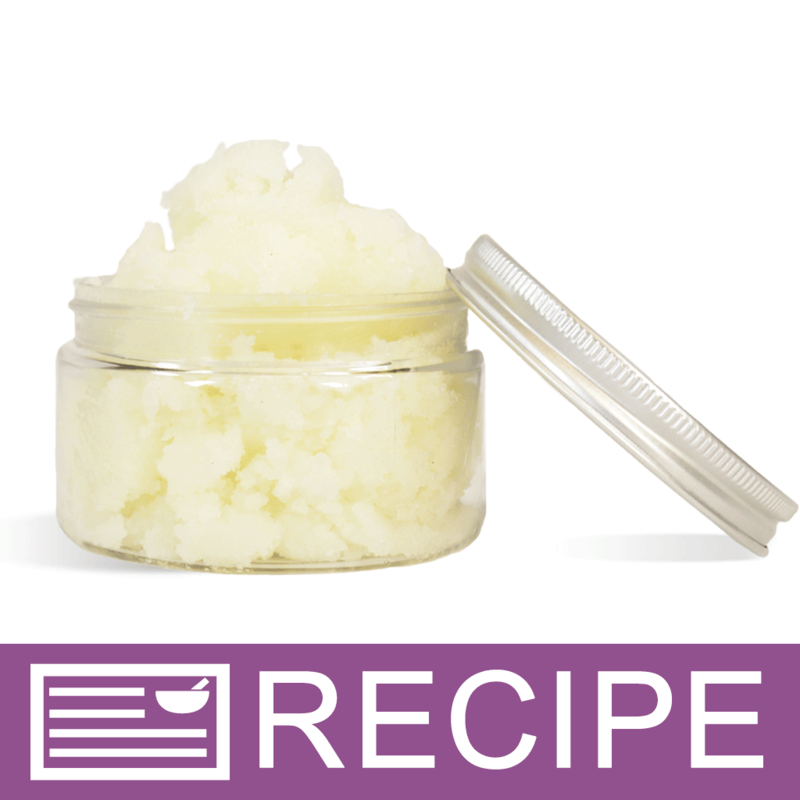 If you are looking for a scrub that is less oily then we may recommend our Emulsified Sugar Scrub recipe. COMMENTS: I used this kit for the first time and the instructions were easy to follow. The jars it comes with make the product look very presentable and allows for nice labeling. I will order this one again. 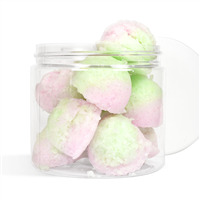 COMMENTS: this kit is easy to do, and i love the sugar scrub! "Can I substitute this shea butter with Raw shea butter (after it is liquefied of course)? " Staff Answer Yes, you can make this substitution but always be sure to test your product when making any ingredient substitutions for proper performance. "If I wanted to make this product with sugar instead of the salt, would I use the same amount of sugar as salt"
Staff Answer Shawn, Yes! Salt and sugar are interchangeable and require the same portions. Some people prefer sugar over salt due to the fact that it doesn't burn if you have a cut or scrape on your skin. "I would like to make this kit with regular sugar. Can I get the kit with sugar instead of salt?" Staff Answer Kits are sold as is. We cannot substitute any of the products due to pricing. "When using fresh squeezed Grapefruit or Lemon juice, do I need to add a preservative? And if so, would Tea Tree Oil work? " Staff Answer Yes, you will need to use a preservative when using fresh fruit juice. Tea Tree Oil is NOT a preservative. You will need to use a preservative such Optiphen Plus or Germall Plus. No preservative would be strong enough to preserve raw juice. Your scrub would spoil and the juice would dissolve the sugar. Tea tree oil is not a preservative. "Can i add a preservative to this recipe and at what measurement?" Staff Answer Yes, you can certainly add a preservative to this recipe. We recommend Phenonip because it is an oil-based preservative. The directions for Phenonip to add it at 0.5-1%, which would be about 0.4 oz. for the kit/recipe.